Jesus Christ was manifested to destroy the works of the devil and restore dignity to humankind (John 10:10). Jesus Christ passed His spiritual mandate on to believers throughout all generations. Social and secular works like education, sports, entertainment, and real estate did not feature in His mandate. Such things are not sinful. Indeed, they are godly and good but they were not His assignments and they should not distract those He creates, anoints and blesses to fulfil His spiritual purposes on earth. 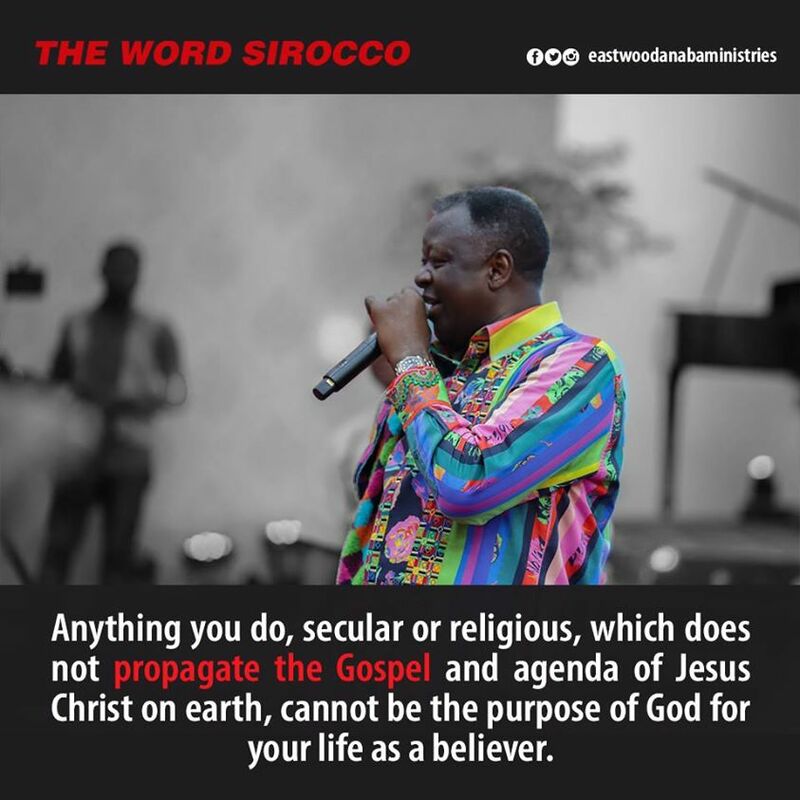 Anything you do, secular or religious, which does not propagate the Gospel and agenda of Jesus Christ on earth, cannot be the purpose of God for your life as a believer. Some believers are called and anointed to do things that are physical and secular but others are anointed for purely spiritual things. The purpose of the latter group of people is to destroy the works of the devil and to do the spiritual works of God. You are created to destroy the works of the devil and fulfil God’s purposes. Jesus Christ operated in the anointing to set the example for us that without the anointing, we cannot minister in spiritual offices (Hebrews 1:8-9). From His fullness, anointing and blessings, all human beings who are in Him receive grace for grace (favour upon favour, gift heaped upon gift or gift after gift after gift - John 1:16). The world awaits the manifestation of the children of God to save it from destruction and to release its potential (Romans 8:19). 1. Pray and break any obstacle the devil has placed in your way to frustrate you or prevent you from fulfilling your purpose. 2. Pray also and annul any negative projections, predictions and projections the devil and his cohorts have made regarding you fulfilling your purpose on the land you find yourself.